This solution allows you to try ResIOT starting from a preconfigured host, without needing any kind of installation on your machine. This option makes available immediately 15 nodes and 1 gateway, with the possibility of expanding them in the future by buying expansions as shown in the following link https://www.resiot.io/en/pricing/#resiotcloudshared. Go to the registration page https://www.resiot.io/en/sign-up-free/, then enter your email in the appropriate field and select the first available option, the one called "FREE Private Cloud", as shown in the picture. 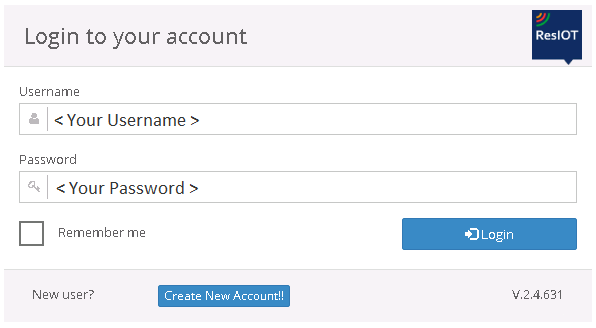 Then press the "Sign up free" button, and a new form will appear that will need to be filled with the required data. Once you have completed the form, click on the "SIGN UP FREE" button. If everything is successful, a confirmation message will appear to indicate that everything went well, stating your new Username and the link to the Application Site. 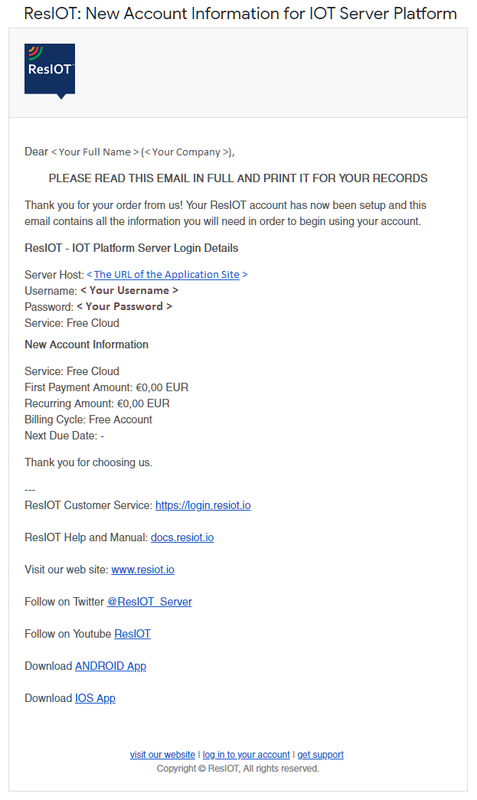 To retrieve your password you need to go and check on the email that ResIOT has sent to you. 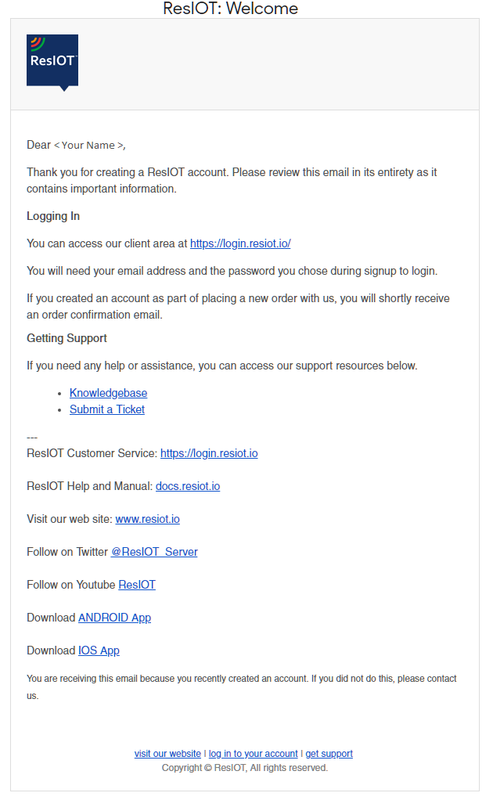 At this point if you check the email with which you signed up, you should find two new welcome emails from ResIOT. Once the emails arrive, access the link that will be written instead of "The URL of the Application Site" and then try to log in with the credentials sent in the second email. If everything went well, you should be able to log in to ResIOT, and you can start working on your projects, otherwise if you can not log in, contact us. Instead, this solution allows you to try ResIOT on one of your machines. This option makes available immediately 5 nodes and 1 gateway, with the possibility of expanding them in the future by buying expansions as shown in the following link https://www.resiot.io/en/pricing/#resiotfsi. Go to the registration page https://www.resiot.io/en/sign-up-free/, then enter your email in the appropriate field and select the second available option, the one called "On-premise FSI FREE License", as shown in the picture. 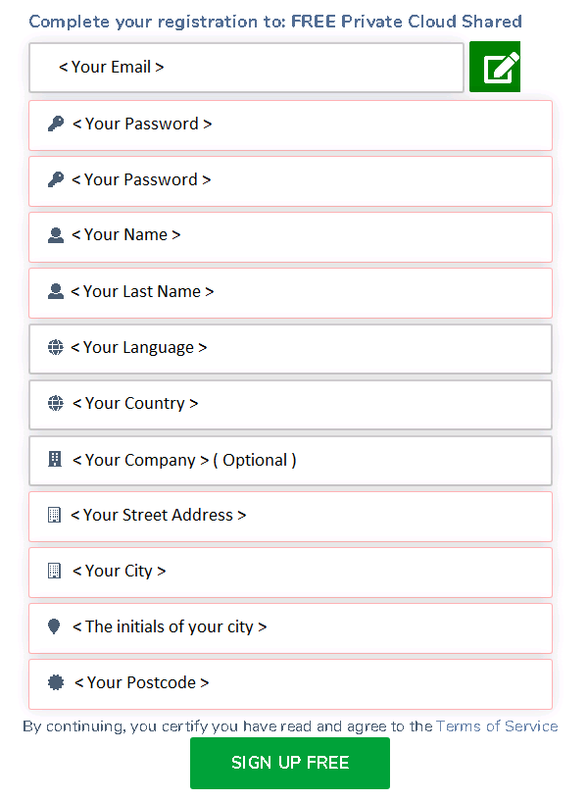 Once you have completed the form, click on the "SIGN UP FREE" button. If everything is successful, a confirmation message will appear to indicate that everything went well and that messages were sent to your e-mail. You should now have two emails in your email, one for welcome and one for all the data and links you need. 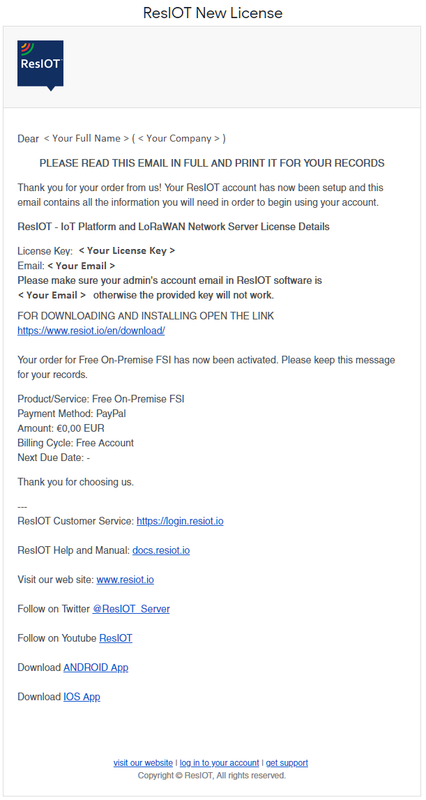 In the second email you will find the link to the software download page, otherwise the link is as follows https://www.resiot.io/en/download/. Once the page is completely loaded, you will find a grid containing different versions of the software, the one you will have to download with the title "ResIOT™ IOT Platform + LoRaWAN Network Server (on-premise versions)". Choose the version suitable for your operating system and proceed with the download.